C.S. Peirce (1906) stated in 'Prolegomena to an Apology for Pragmaticism' "Come on, my Reader, and let us construct a diagram to illustrate the general course of thought; I mean a system of diagrammatization by means of which any course of thought can be represented with exactitude". That is the purpose of this research, but to limit the scope and so make application of this theory testable the research is restricted mainly to engineers (because they often think in terms of diagrams) and to the domain of modelling (which often requires diagrams). So the aim is to apply the research first where it can have the most use and encourage others to expand it for other domains and other users. This research is intended to simplify computing for computer literate non-programmers, this includes many engineers. The main research area is enabling users such as engineers to model the problems they encounter in manufacturing and design. However, the wider aim is to prototype research for enabling a larger range of software users to model their problems. The intention is to create collaborative tools that allow users to develop software in a way they will be familiar with from their use of spreadsheets. This research brings together approaches of object orientation, the Semantic Web, relational databases, and Model-Driven and Event-Driven programming. Frankel et al. (2004) explain the opportunities for, and importance of this kind of research. Iterative development is used both in this research and in the implementation to ensure that changes can be made systematically as necessary and without disrupting a project. Software engineering and modelling has much in common with engineering modelling, also the tools used for both have much in common. Software process modelling, engineering process modelling, and business/workflow modelling share a common approach, and similar tools. Much of this commonality is in the need to transform requirements into design into code semi-automatically. To achieve this, continuous consultation between potential users e.g. engineers for engineering modelling problems and developers for software problems is required. Organisations have many limitations resulting from the lack of facilities to allow users to program. For example the use of 'out of the box' modelling tools that are hard to customise or introduce collaborative capabilities, because a project deadline is so urgent that nothing else is practical. A common factor in these various types of modelling is the need to transform between a high level abstraction, to a lower level such as a computer model and then code. This is illustrated by examples of semi-automatically produced programs/models (Hale, 2008). The translation process involves translating from a tree/graph representation and for each node this is translated into a code representation of the equation that relates this node to any others, and this code is then presented in the interface as a result tree/graph. This can be achieved for programs and/or web pages. Kraus et al. (2007) examine and implement this transformation problem and also produce code and/or web pages. Uschold (2003) defines the Semantic Web as being machine usable and associated with more meaning. So this is a good way to convey the abstractions represented in a source and result tree to the end user. The intention is to demonstrate a way to construct diagrammatic representations of cost using the example of an aircraft wingbox. The wingbox is the structure or skeleton of the wing. These diagrammatic representations are achieved by visual representation of items and equations that make up wingbox cost. These items and equations can be represented in standardised categories used in engineering - 'materials', 'processes', 'cost rates' etc. These categories are standard for engineering and the methods for representing items and equations that relate the items can be expressed in standard mathematical form. Therefore using the same methodology and same categories it would be possible to represent other items and equations in the same way. So this methodology is reusable for costing other engineering components including those outside aerospace. The costing method is also recursive because components and sub components can be costed separately or together and top down or from bottom up. This methodology has the potential to be applied to any calculation based modelling problem. Engineering modelling can be performed using a high level diagrammatic view of the problem and conveyed to the computer via transformation. Solutions to this transformation problem can be found by adapting current tools and techniques using a systematic approach. Such tools and techniques involve use of modelling tools, spreadsheets, ontology management tools, and Semantic Web Web 2.0 tools. These possible solutions are not mutually exclusive and their combination could be the best way of providing usable collaborative modelling tools for computer literate end users and domain experts. The link between these alternative ways of advancing current research is translation and User Driven Modelling/Programming. It is possible to create an extra layer of visualised semantics to enable users to specify commands in structured language. This approach of adding extra layers is the way this visual programming works. 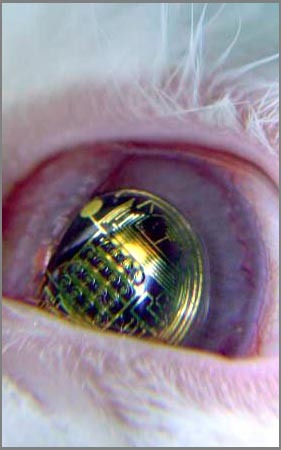 Users provide the information the program needs at the visual interface layer, and program code is created automatically. The layers provide the bridge between abstract ideas and computer code. If this approach is taken to its logical conclusion, it would be possible to allow the user to specify what the computer should do. Then each layer would communicate this to the layer below until the computer performs the action required. A simple example of this approach is the use of spreadsheets. Users can specify a calculation in mathematical terms using a formula. The spreadsheet then calculates the result of the formula. Users can change the formula if it is incorrect without any need to write code or re-compile. This accounts for the popularity of spreadsheets. However, spreadsheets do not provide the centralised and structured data-store required for a distributed collaborative system. Therefore, the research concentrates on combining the wide applicability of generic spreadsheet modelling with structured and adaptable modelling and visualisation. It is important to enable changes to the design of the information source and its structure as necessary, even when it contains information. This makes possible continuous improvement of the information and its representation together. Clear visualisation of the structure makes out of date and duplicate information obvious, so it can be changed by the end-users of the information. This provides for maintenance of information quality without necessitating end-users to understand relational database design; though relational databases can still be accessed by software specialists for more in depth and less frequent structural changes. Program transformation allows for writing in one representation or language, and translating to another. This is particularly useful for language independent programming, or for high level and end user programming that can then be translated to a language more easily interpreted by computer systems. A taxonomy representation is translated into a computer model. Relationships can be conveyed to a software model that evaluates them. Information is translated from the taxonomy and is visualised in tree form in a decision support tool with the example of spar manufacture information. The visualisation of the information in a tree can be further translated into visualisation as an interactive diagram. The representation can be translated into different languages, to allow for language independence. Crapo et al. (2002) assert the need for a methodology for creation of systems to enable more collaborative approaches to modelling by domain expert end-users, and that this combined with visualisation would allow engineers to model problems accurately. Huhns (2001) and Paternò, (2005) both explain that alternatives to the current approach to software development are required. Modelling languages such as Alloy explained by Wallace (2003) can be used as an interface to an End-User Programming environment. Transformation from a model building environment to program code has been investigated by Gray et al. (2004). I am a Researcher in the final year of my PhD. I specialise in applying Semantic Web techniques. 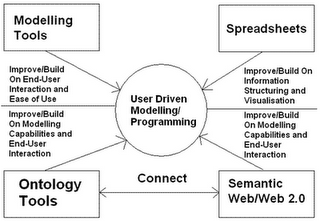 My current research is on a technique of 'User Driven Modelling/Programming'. My intention is to enable non-programmers to create software from a user interface that allows them to model a particular problem or scenario. This involves a user entering information visually in the form of a tree diagram. I am attempting to develop ways of automatically translating this information into program code in a variety of computer languages. This is very important and useful for many employees that have insufficient time to learn programming languages. I am looking to research visualisation, and visualisation techniques to create a human computer interface that allows non experts to create software.